Emerald Textiles is the Title Sponsor for SDBC. Emerald is Southern California’s new choice for commercial healthcare linen and linen services. Established in 2010, the company serves more than 80% of the hospital beds in San Diego and has recently expanded into Riverside, Los Angeles and Orange County. Focused on infection control through extreme cleanliness as well as environmental responsibility Emerald saves the area more than 40 Million gallons of water and over 750,000 therms of natural gas annually. UC Cyclery offers a wide selection of bicycles for different people and uses. And they provide expert assistance in selecting the proper bike type and model. Their experienced staff will listen to you and help you choose. FMT Consultants, LLC is a leading Southern California provider of integrated business management solutions and IT services. With a dedicated team of 35+ in-house IT experts, FMT offers innovative solutions within the areas of CRM, ERP and Accounting Systems, Portal & Collaboration Software, Email & Communication Tools, Cloud Computing and Managed IT Services. 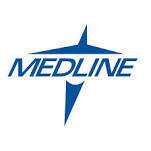 Medline is the largest privately held manufacturer and distributor of healthcare supplies in the United States, providing more than 350,000 products that serve the entire continuum of care. Medline's innovative products and programs can be found in most hospitals, extended-care facilities, surgery centers, physician offices, home care dealers, home health agencies and retail outlets. Karl Strauss brews over 30 beers a year, including 6 core beers and a host of specialty beers & seasonals. Their distribution includes over 2,500 bars, restaurants, liquor and grocery stores throughout Southern California. Bryan and Krista Fuller at Java Depot have been serving up a wonderful blend of coffee, community and culture since 1991. Inspired by the outdoor cafes in Paris and throughout Italy, they brought their vision to Solana Beach and San Diego long before Starbucks was even a concept. Building Strong Minds and Strong Bodies providing a balanced, non-medical solution involving a drugless approach to your health. As your accountability partner, Straight Nutrition coming along side of you to assist you in achieving your goals. The Law Firm of Richard L. Duquette is committed to helping clients recover compensation for personal injury and to defending clients from criminal charges. Their firm is accredited by the Better Business Bureau® and goes above and beyond what is required in order to get the results that their clients need. Pactimo is dedicated to providing premium cycling & team apparel for world champions, pros and elite cyclists worldwide. Hi-Tech Bikes is a full service bike shop in San Diego with great selection of Road and Triathlon bikes and gear. Fluid was founded in San Luis Obispo by a nutritional biochemist and an exercise physiologist at Cal Poly State University. Fluid Recovery was introduced to the open market in early 2006, in an effort to answer the industries need for a superior quality recovery drink. With two distinct benefits this line provides athletic performance enhancement and weight loss aide allowing users of all fitness backgrounds the ability to take advantage of this unique technology.